Happy Kitchen Sink Stamps Monday! 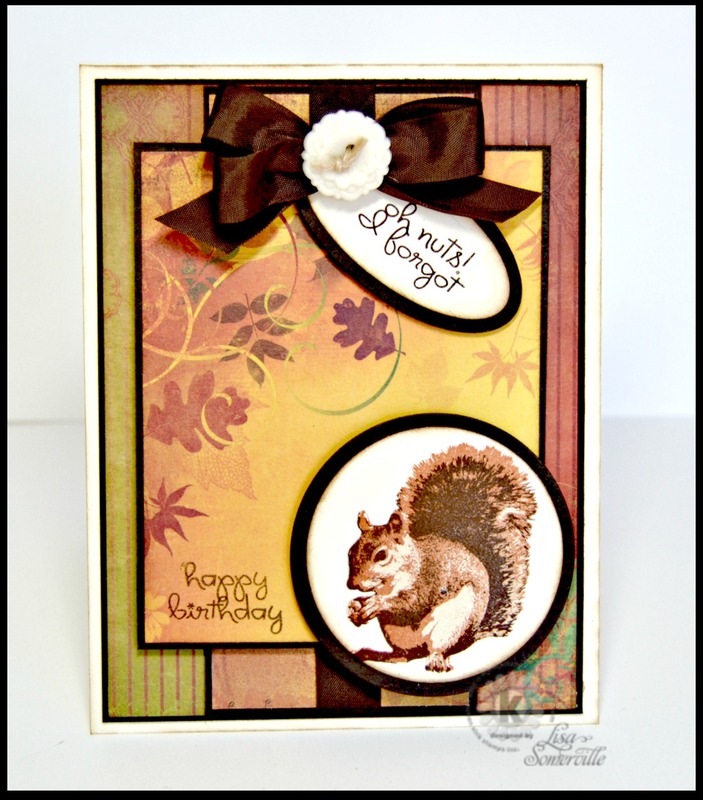 Inspired by this weeks Mojo Monday Sketch Challenge, I used Kitchen Sink Stamps Multi Step 'Lil Elephant and 3 Step Autumn Squirrel stamp sets along with Bo Bunny Paper to create my card. How cute! Love the little squirrel!